Masses highlight differences and connections between France and U.S.
SAINT-OMER, France – As Archbishop William E. Lori and a small delegation visited this small northern French town in mid-October for a weekend of festivities, daily Masses highlighted the differences and the connections between France and the United States. The Masses were all celebrated in churches built centuries ago. The archbishop celebrated a Mass Oct. 13 for his delegation and a few people from Salperwick, a small town two miles from Saint-Omer, at Mother Teresa in Morinie Parish, named for St. Teresa of Kolkata and the region in France where the church is located. He began “this small pilgrimage” by praying the votive Mass of the Sacred Heart in honor of St. Mary Alocoque, who received the vision of Jesus as the Sacred Heart nearby. The archbishop added that the Mass provided a chance to pray for France and the United States and for the difficult times in the world in which we find ourselves. The Maryland delegation included Archbishop Lori and his secretary, Father Lou Bianco; Father Charles Connor, assistant professor of church history at Mount St. Mary’s Seminary in Emmitsburg; Sulpician Father Daniel Moore, director of discernment for the Sulpicians’ U.S. Province; and descendants of the Carroll families. Charles Carroll Carter Sr., his wife, Rosemary, and their son Charles Carroll Carter Jr., about eight generations descended from Daniel Carroll of Rock Creek, came from Maryland. Harper Wright, originally from Maryland and a descendant of Charles Carroll of Carrolton, accompanied by his wife, Janet, came from their residence in England for the events. Archbishop Lori, the 15th successor of Archbishop John Carroll, represented the spiritual descendants of John Carroll. The Chapel of the Jesuits in Saint-Omer was probably last used as a church during the French revolution in the early 1790s, when the Catholic church was suppressed, religious symbols were taken down and churches were closed. In succeeding decades, the space at various times served as a horse stable, a wartime warehouse for aircraft parts and a parking garage. The chapel has been converted to a new arts and performance space for the town of Saint-Omer. As workers put finishing touches on the building Oct. 14 to prepare prior to official opening festivities for the renovated chapel later in the day, Archbishop Lori celebrated Mass – probably for the first time since the French revolution – in a small chapel behind what would have been the main altar. The local bishop of Arras, Boulogne and Saint-Omer, Bishop Jean-Paul Jaeger, concelebrated. Priests from Maryland also concelebrated, and the Carroll descendants – the Carters and the Wrights – attended. He recalled a quote from Archbishop Carroll shortly before his death, that of all the things that gave him the most comfort at that moment were his connection to Mary and that he had entrusted the people in his care to her. At the Cathedral of Notre Dame in Saint-Omer Oct. 15, Bishop Jaeger celebrated a Franco-American friendship Mass to reflect on the connections between the countries. But the influence of France on the United States was not limited to political ties. “I think of the influence of the Enlightenment in helping to shape the American experiment in limited government and ordered liberty,” the archbishop said. “Throughout this weekend, we have been celebrating, if you will, a subset of that larger picture of French-American friendship by focusing on what drew another leading American colonial family to send their sons across the Atlantic Ocean to be educated.” In some respects, he said, the Carroll family was handicapped by their Catholic faith. The archbishop acknowledged a debt of friendship: “Here at Saint-Omer, John Carroll received his calling to enter the Society of Jesus. … As the first Bishop of Baltimore, it would be John Carroll’s mission to find the path for the Catholic faith to take root and grow in the new republic, a wholly new environment for the faith, an environment of religious freedom laced with deep anti-Catholic sentiments. “His formation at Saint-Omer helped make him a wise and astute leader and to this day we are building on the foundations John Carroll so carefully laid. 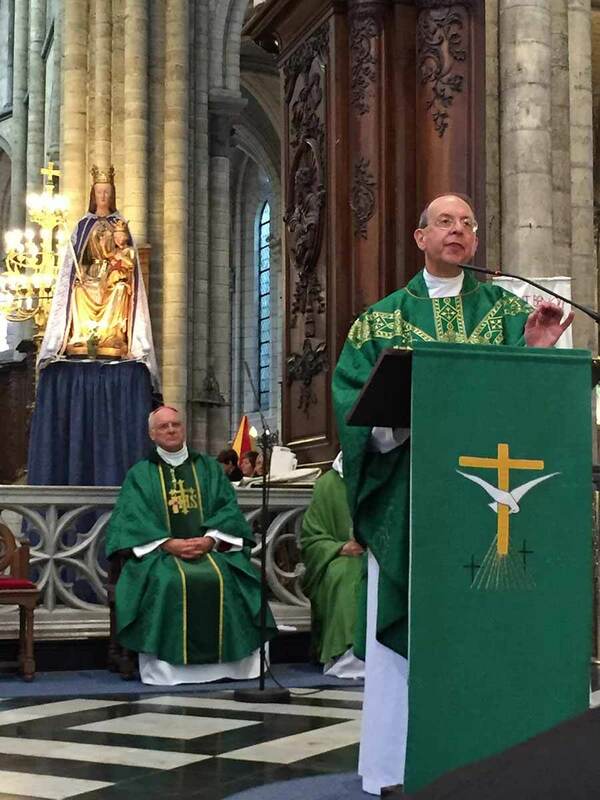 As a successor to John Carroll, I came here to St. Omer to express my deepest thanks,” the archbishop said. After the Mass, a reception was held in a side chapel of the cathedral, built in the 11th and 12th centuries on the site of a seventh-century church and rebuilt and expanded over succeeding centuries. With the renovation, the six bells, including the largest, which weighs five tons, can ring. Archbishop Lori noted that the cathedral, also a basilica, is a beautiful and warm place. “God has been worshipped here for more than 900 years.” He said he and the Archdiocese of Baltimore were happy to play a small part in the bell tower’s renovation. 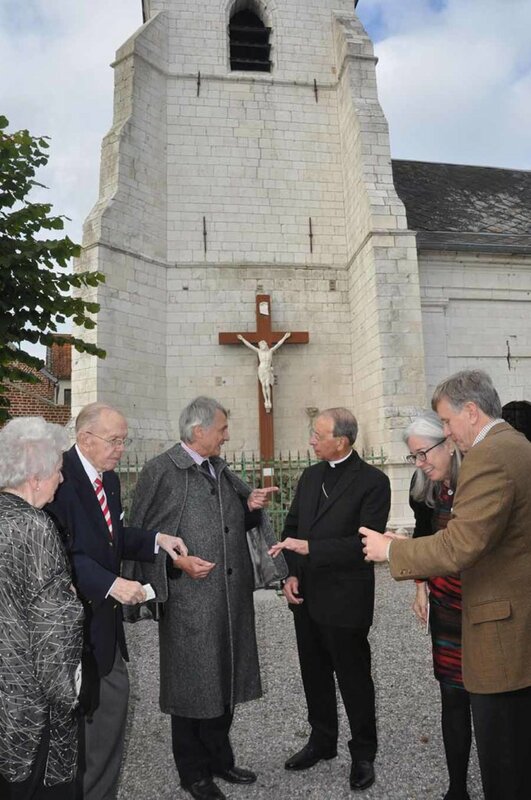 Before departing France, the archbishop and the group from Maryland made one last stop in Aire-sur-la-Lys, a slightly smaller town about a half hour from Saint-Omer. There, they stopped by the birthplace of Father Narcisse Martin, a French priest who served in Maryland. 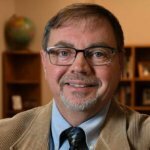 He also served as a chaplain at St. Agnes Hospital before requesting to be assigned to a parish. He served as pastor of St. Peter Church, Waldorf, with a special focus on serving the poor, from 1894 until his death. The archbishop celebrated a Mass for about 50 people at the nearby Jesuit Chapel of St. Jacques, built between 1682 and 1688, where Mass is celebrated about once a year. Archbishop Lori noted the deep link between “this beautiful city and Maryland especially through Father Narcisse Martin,” adding that the pilgrimage to the Pas de Calais region would not have been complete without the visit.